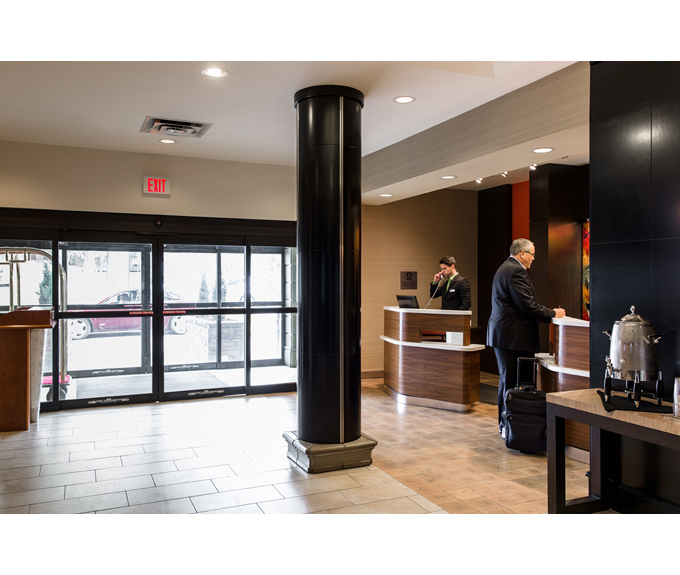 The Courtyard Marriott Edmonton Downtown; Edmonton's business-class hotel, specializing in casual riverside luxury. Our hotel features 177 tastefully appointed guestrooms with free Wi-Fi and a mini-fridge for your convenience. 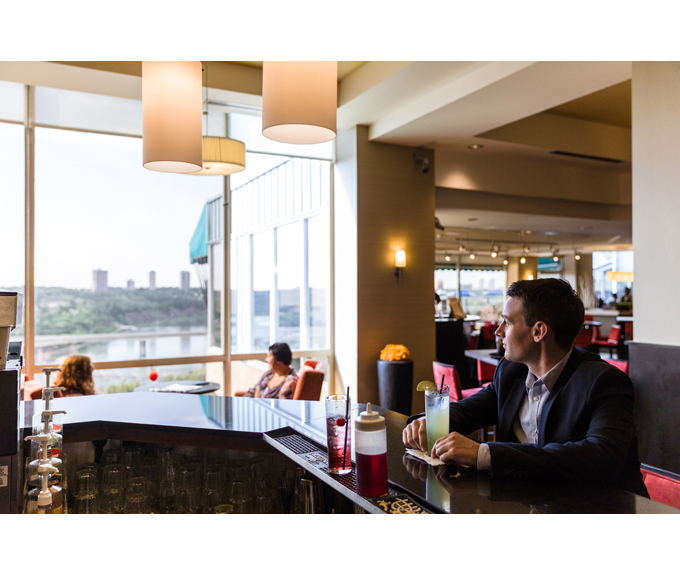 Panoramic views of the river valley and our downtown business district add to the excitement of this Edmonton hotel. 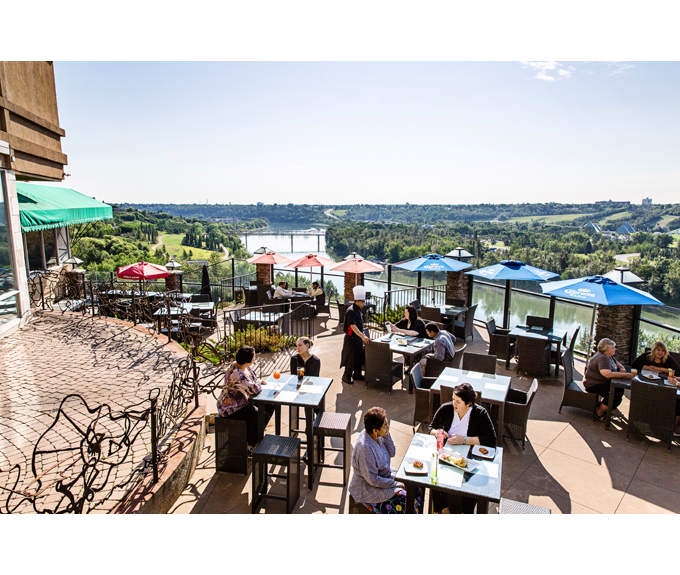 Our patio provides a relaxing atmosphere with breath taking views of Edmonton's river valley. 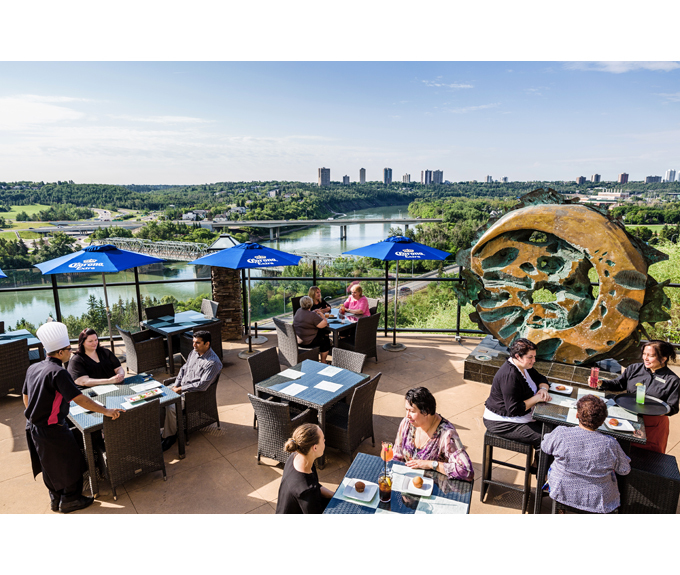 An excellent choice among Edmonton restaurants, our Riverside Bistro serves delicious breakfast, lunch and dinner.